Last modified on Tuesday, September 9 2008. 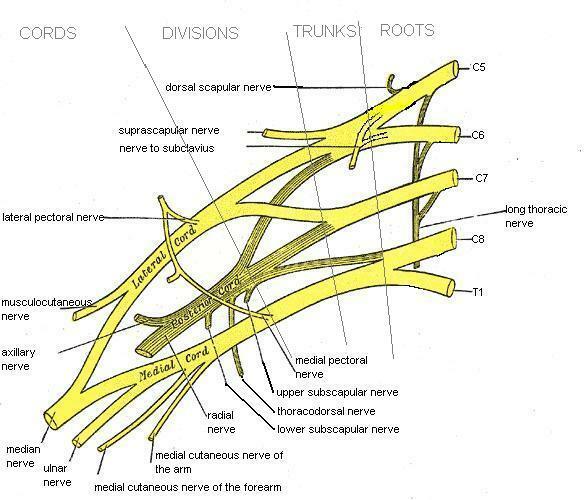 The brachioradialis muscle is innervated by which of the following trunks of the brachial plexus? B) Upper, lower, and middle trunks. E) Upper and middle trunks. This question was created on September 09, 2008 by jdmiles. This question was last modified on September 09, 2008. The brachioradialis muscle receives innervation from the upper trunk only. Refer to the image below.